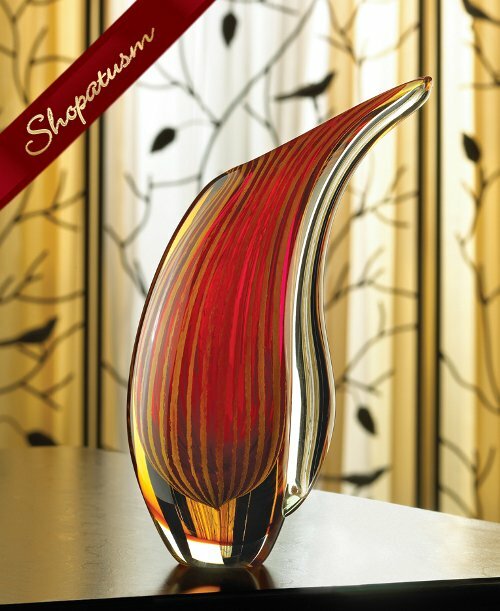 This is for a bulk lot of 10 art glass vases crimson sunset hand crafted from Shopatusm. A sparkling free form vase celebrates the beauty of an autumn sunset, setting your surroundings alive with vibrant color. Decorative purposes only. Each piece is individually hand-crafted for its unique beauty; therefore, it may have slight differences from the pictured item. Weight 6 lbs. Glass. 7 1/2 inch x 3 1/2 inch x 12 1/4 inch high. Retail $69.95 each. (Out of Stock) Check Back Soon!